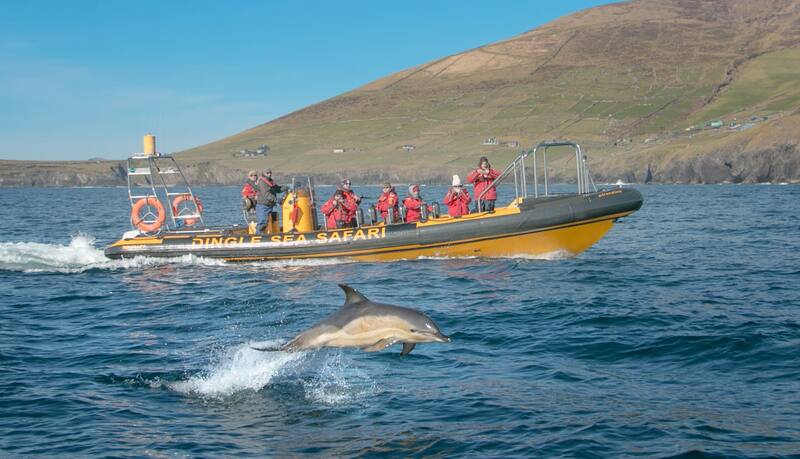 Experience The Breath-Taking Majestic Coastline of Dingle Bay! 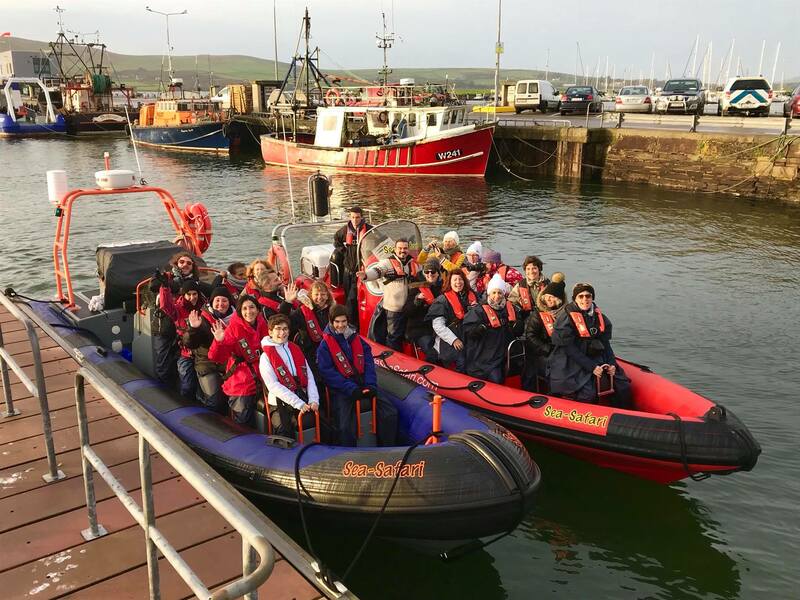 New for 2018 - Must do Dingle Activity! 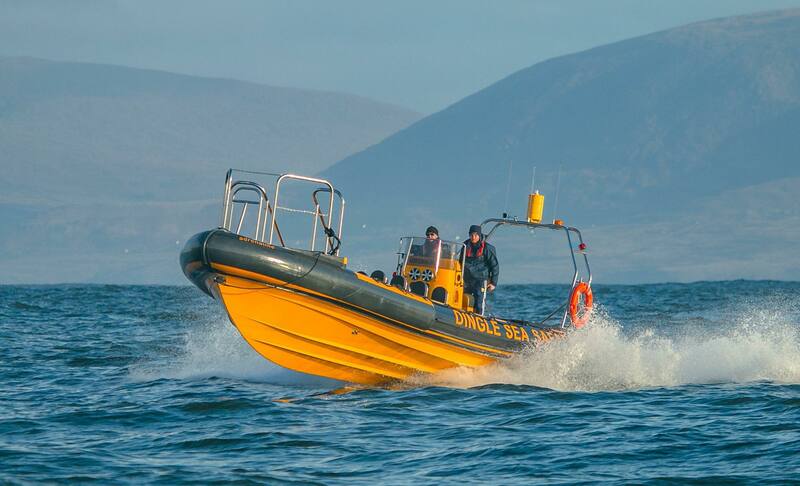 Our Dingle Sea Safari Rib Experience is the number one activity to do while visiting the Dingle Peninsula. 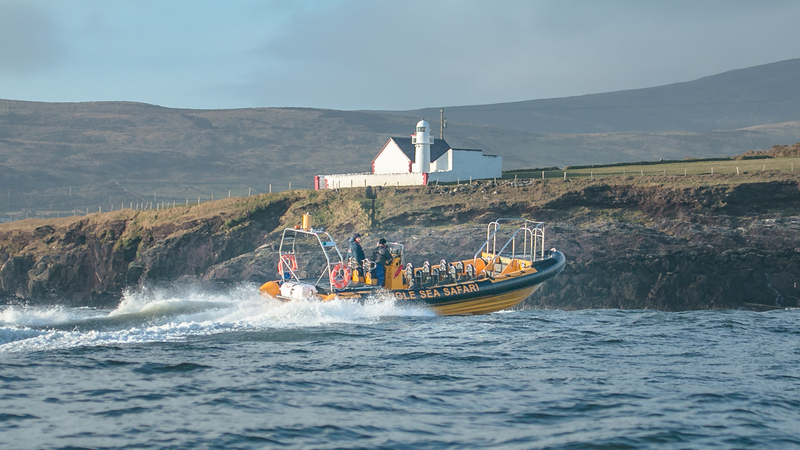 This unique tour takes in the breath-taking majestic coastline of Dingle Bay – the caves and the cliffs all the way to the Great Blasket Islands! 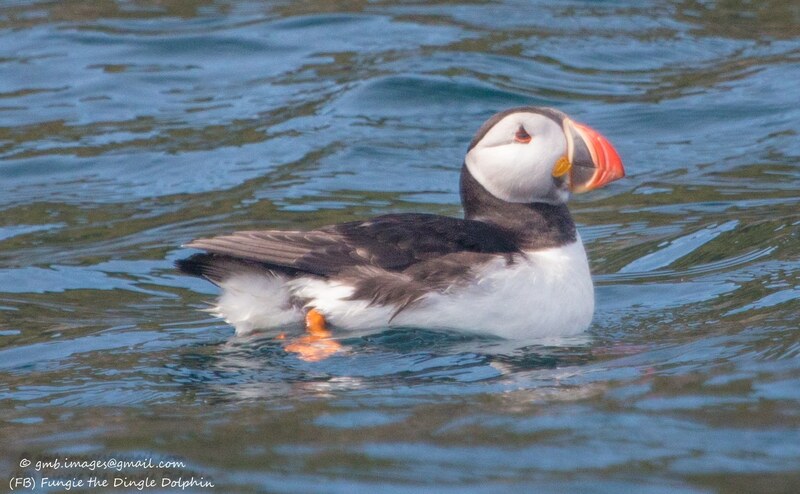 View the rock formations, seals, caves, puffins and more. 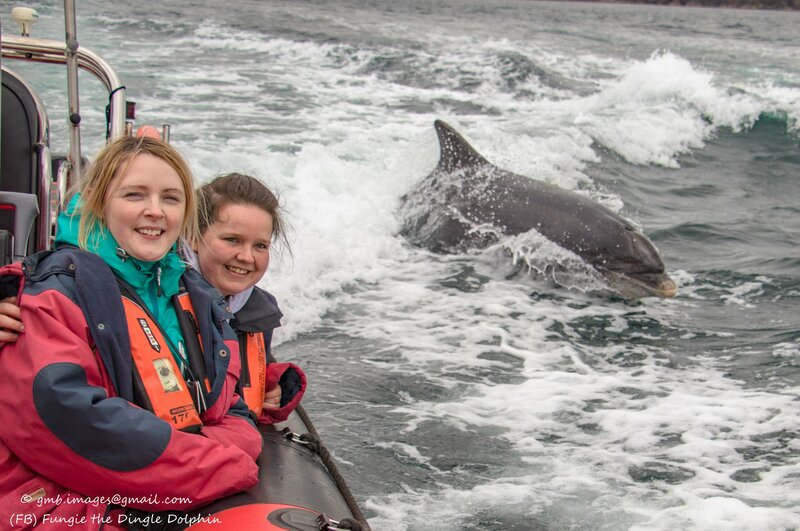 Meet Fungie, the world famous Dingle Dolphin! 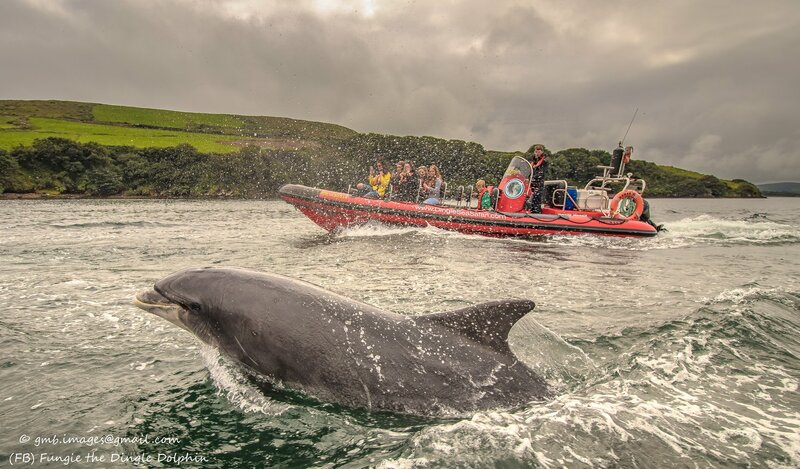 Fungie is a wild Bottlenose Dolphin, who has lived in Dingle Bay for the past three decades. Our ‘Up Close and Personal’ Experience with Fungie allows you to get as close as possible to the dolphin. Get your camera ready for this memorable experience! 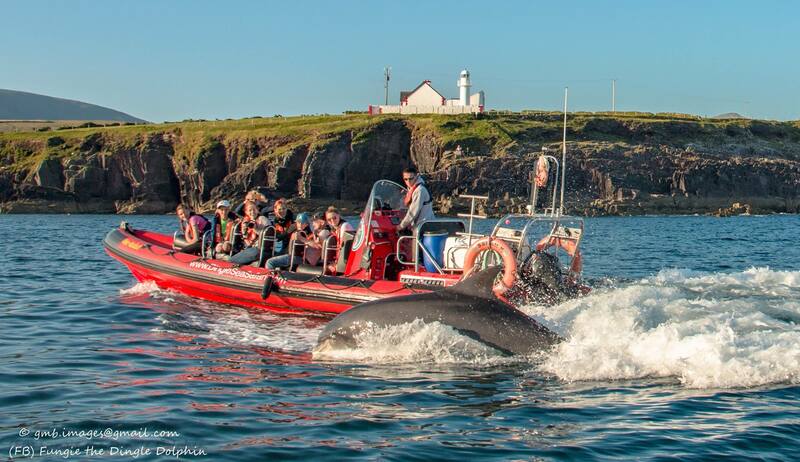 Our Exhilarating Rib Experiences are situated in Dingle County Kerry. The Dingle Peninsula, on Ireland’s southwest Atlantic coast, is ringed by sandy beaches and craggy cliffs. We operate the biggest open commercial rib in the country. 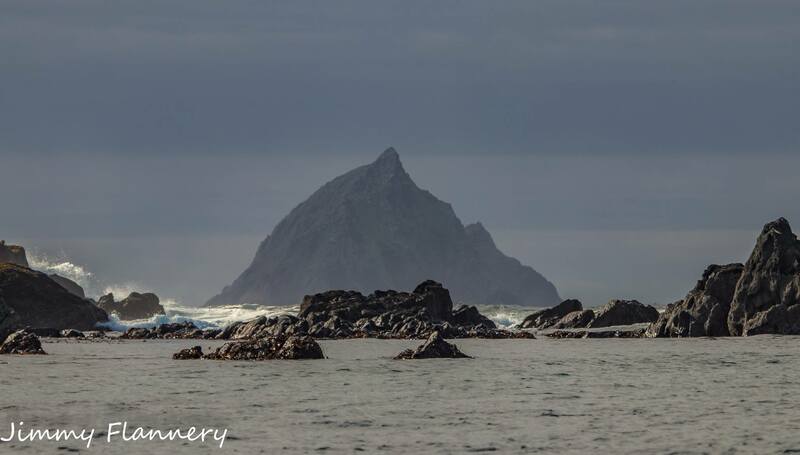 Our tours are the perfect way to experience West Kerry – see the Blasket Islands, Fungie the Dingle Dolphin, the world famous Slea Head scenery along with the many rock formations, seals, caves and puffins.